Save 1% on the Endust for Electronics Gel Cleaner & XL Microfiber Towel Combo (15023) by Endust for Electronics at Home Entertainment Centers Online. MPN: 15023. Hurry! Limited time offer. Offer valid only while supplies last. Endust for electronics gel cleaner safely cleans all LCD and Plasma screens. Alcohol- free formlula does not run, or damage sensitive equipment. 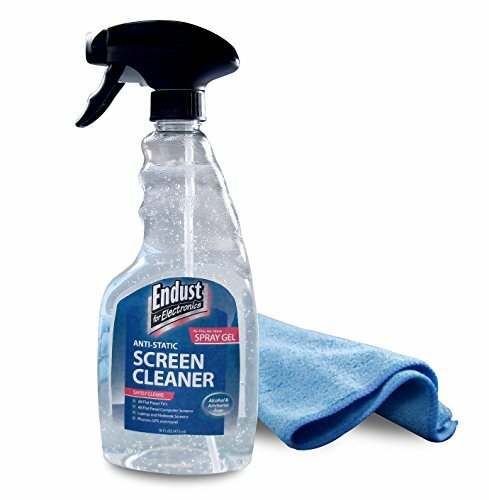 Endust for electronics gel cleaner safely cleans all LCD and Plasma screens. Alcohol- free formlula does not run, or damage sensitive equipment. Endust for electronics 16"x16" microfiber towel lifts dust, fingerprints and smudges from electronic equipment. Purosol 10042 Plasma Screen Cleaner 16 oz. ROLLCLEAN: The liquid free, reusable TV Screen and Desk Top Monitor cleaner and all purpose flat surface cleaner.